A consort of viol da gambas, featuring CPCC faculty, Holly Maurer and other guest artists. The CPCC Music Department announces two early music recitals to be held in Tate Hall in the Overcash Building on Central Campus this fall. On August 27, the college welcomes back former faculty member Webb Wiggins in a harpsichord recital during which he will play on both of the college’s Kingston harpsichords. Then on September 10, music faculty member Holly Maurer will be joined by Gail Schroeder on viola da gamba, Kelly Roudabush on baroque flute, and Barbara Weiss on harpsichord in a program of music of the late Baroque. Both concerts are at 12:30 p.m., are free and open to the public. Parking is available in the event parking deck. CPCC’s Center for Sustainability is excited to host to two educational film screenings this semester. Both events are free and open to the college community and local residents. We hope to see you there! To learn more about these films and events, please visit https://www.cpcc.edu/cfs/spring-2014-film-series. The classical guitar duo of Mary Akerman and CPCC instructor, Bob Teixeira, will present a concert to the CPCC community. Viola da gamba performers Gail Schroeder and CPCC instructor, Holly Maurer, will present an Early Music concert accompanied by harpsichordist, Barbara Weiss. Both concerts are free and open to all. Thursday, March 20 at 12:30 p.m. – The Bechtler Ensemble series presents Jazz Fusion and chamber music. Monday, March 24 at 12:30 p.m. – CPCC Music students, LaToya Kirby and Will Boese in a classical guitar recital. All concerts are FREE and will be held in Tate Hall, Overcash, on the CPCC Central Campus. Join us for “EntreMANUREship,” a must-see, highly entertaining presentation, presented by Tom Lotrecchiano and Joe Schmitt, Founders of Art.com and CanvasonDemand. Know what you don’t know…then learn it! Successful entremanures know all the aspects of their business. If they dont, they learn them no matter how “outside of their comfort zone” the aspect seems. There is no “comfort zone” in entremanureship. Tom Lotrecchiano and Joe Schmidt find great joy in sharing their journey of being entrepreneurs over the last 15 years with businesses such as Art.com and CanvasonDemand.com. CanvasonDemand.com was acquired by CafePress. CaféPress had an IPO in Feb 2012. Tom and Joe were Ernst & Young Entrepreneurs of the Year finalists in 2008, and CanvasonDemand was included in the INC 500. They have delighted thousands during their public presentations, stories about their business adventures which range from hilarious to heart-wrenching. They refer to their shrewd (and sometimes outrageously unconventional) wisdom gained from a combination of education and real-life experiences as Entremanureship! They will share their often hilarious lessons learned while launching seven businesses in seven months! They will also present their sales, marketing and e-commerce experiences. Get a preview by clicking on this link to Entremanureship. DATE: Tuesday, Dec 10; 2:30 to 5 p.m.
Beginning this Thursday the 24, through the end of October, you can enjoy some amazing music here at CPCC and in the uptown area. Thursday, October 24 at 12:30 p.m. in Tate Hall, the Bechtler Ensemble returns to CPCC for the first concert of the new season! Monday, October 28 at 12:30 p.m. in Tate Hall, a Jazz Mass will feature several area choirs, a jazz combo, and CPCC music instructor, Paul Reynolds. Wednesday, October 30 at 7:30 p.m. in Halton Theater, the Charlotte Symphony returns to CPCC for their annual “Orchestra on Campus” series. This concert will have a Halloween theme. Thursday, October 31 at 12:30 p.m. in Tate Hall, CPCC’s guitar faculty member Jame Easteppe will be performing in duo with guitarist, Jeremy Polley. All concerts taking place in Tate Hall are free and open to the public. Other venues are ticketed events. Come and enjoy Three Days of CPCC Jazz this week! Tuesday, April 23 is Jazz Vocal; Wednesday, April 24 is Jazz Improv, and Thursday, April 25 is Big Band Jazz. All concerts are at 12:30 p.m. in Bryant Hall (Sloan 101). Looking ahead to next week: Tuesday, April 30 provides two opportunities — 12:30 p.m. is the Class Music Recital in Bryant Hall, and at 7:30 p.m., the Recorder Ensemble will be presenting a concert in Tate Hall, Overcash. Wednesday, May 1, at 7:30 p.m. is the Baroque Ensemble in Tate Hall. 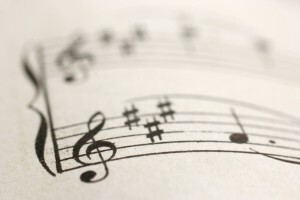 Thursday, May 2 at 12:30 p.m. is the Applied Music Student Recital in Bryant. 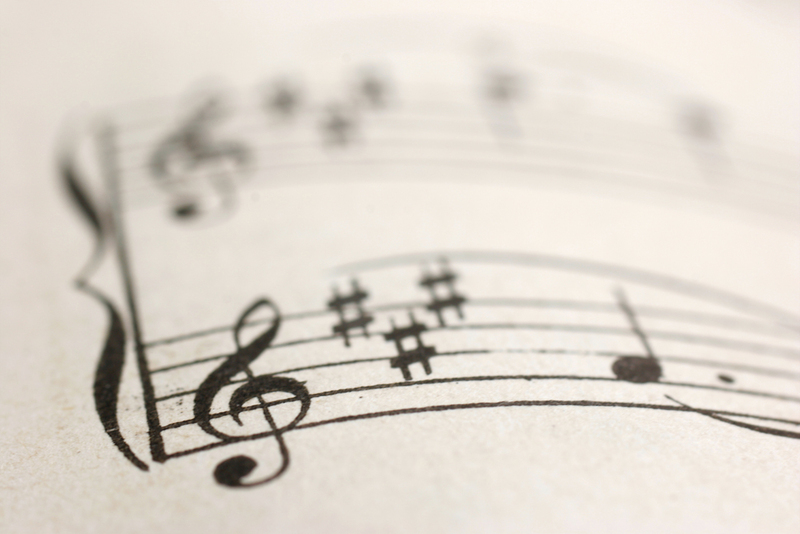 Our final concert of the season will be the Composition class recital at 12:30 p.m. on Friday, May 3, in Tate Hall.